Tim Cook was photographed at Coachella this weekend! This weekend was Coachella — and one person who apparently needed no reminding of this fact was Tim Cook. 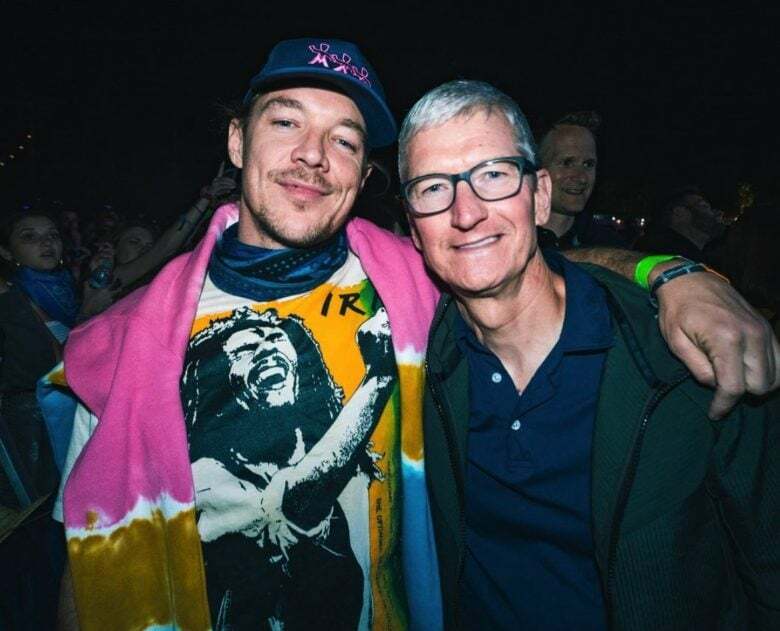 Apple’s CEO was snapped at the event, posing for a picture with DJ and music producer Diplo. “Some random guy came up to me and asked for a picture but I look good so here it is,” Diplo humorously captioned the photo. The massive Coachella music festival has had its fair share of Apple tie-ins in the past. iBeacons were first introduced back in 2014, and the event has also been screened on Apple TV. In 2015, the Apple Watch got a neat bit of promotion at the event after Beyonce posted photos of herself at the festival sporting an 18-karat Apple Watch Edition and exclusive custom band. In 2017, a less savory Apple story emerged from Coachella when a phone thief supposedly nabbed 100 phones — only to be foiled using Apple’s Find My iPhone feature. Tim Cook didn’t share any details of his Coachella trip on his Twitter account. Given how hard he works, though, it’s great to see Apple’s CEO letting off a bit of steam on the weekend. After all, we now how much Cook likes to boogie on down!